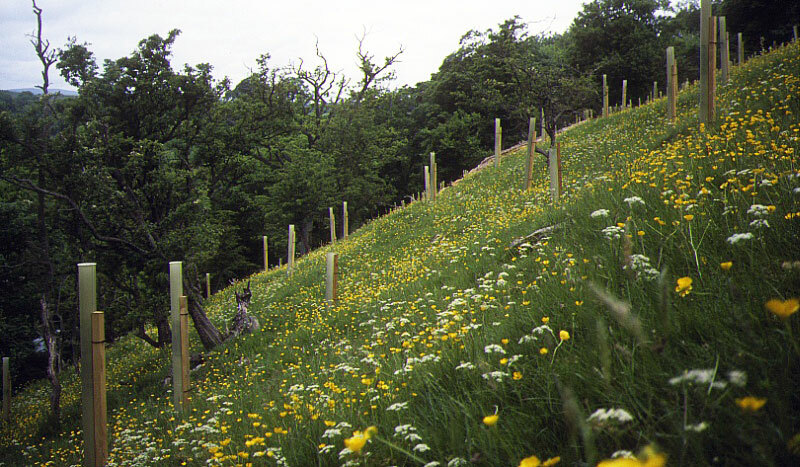 Skuff Wood in Burnsall has extended an area of ancient semi-natural woodland by planting 600 native trees – ash, rowan, sessile oak, bird cherry, hawthorn, hazel and holly. Skuff Wood is located less than half a mile north of Burnsall on a west facing slope overlooking the River Wharfe. You can access the wood via a footpath between Burnsall Bridge and Skuff Road, and which runs along the top edge of the site. Alternatively, there are two small lay-bys on Skuff Road in which you can park to view the wood.